Manchester United continued their charge towards the Champions League knock-out phase as Benfica's Mile Svilar, the competition's youngest-ever goalkeeper, was embarrassed by a Marcus Rashford free-kick. 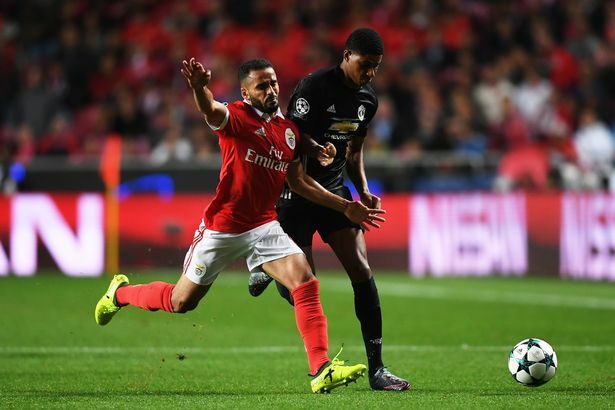 Although unable to produce a swashbuckling display, United triumphed in Lisbon as star man Rashford caught out fellow teenager Svilar with a free-kick that secured a 1-0 win. England international Rashford twice called Svilar into action from corners before trying his luck with a 64th-minute free-kick. The out-of-position goalkeeper backpedalled in an attempt to stop the whipped effort, but could only carry it over the line. Victory means United are on the brink of reaching the knock-out phase for the first time since 2013-14, whereas Benfica have yet to muster a point at the halfway point of Group A. To make matters worse, they will be without captain Luisao at Old Trafford after his late sending-off.